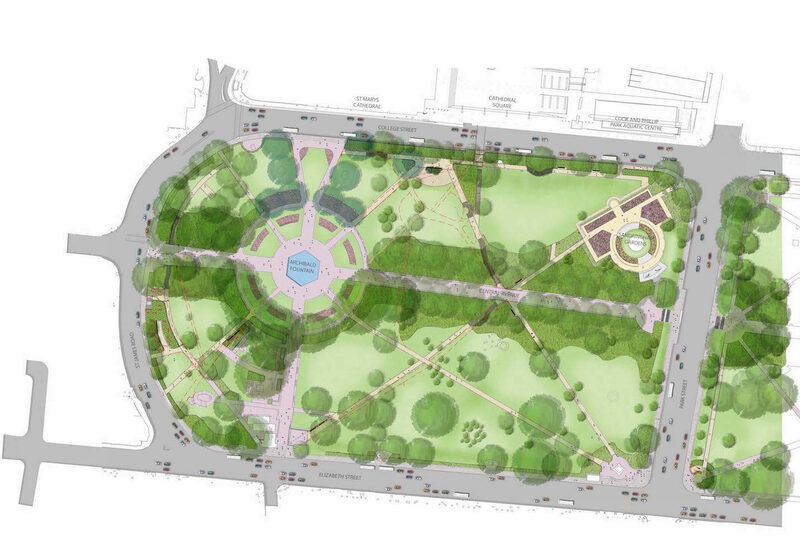 The park is a highly sensitive heritage environment and the success of the project has relied on a rigorous collaboration between the TDEP team and the project heritage specialists and City Arborists. 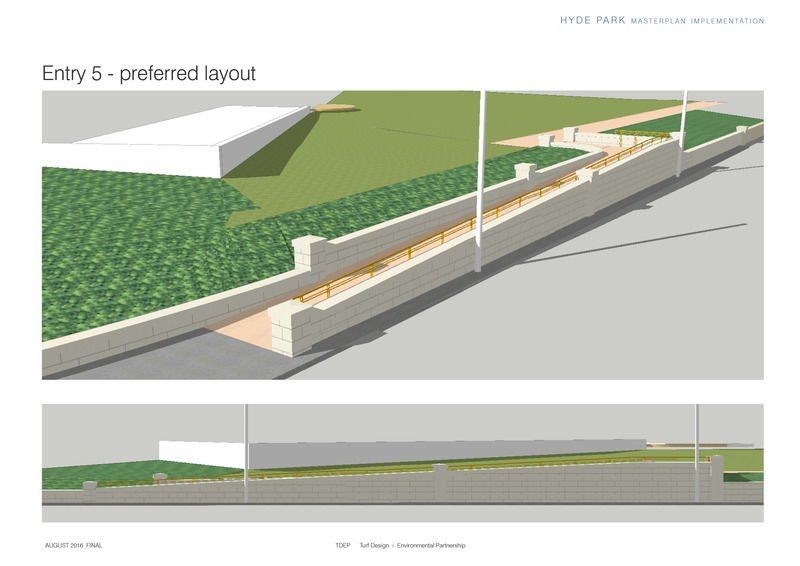 Improving the ease and quality of access generally has been a major focus in addition to the upgrade of materials and finishes to see the park into the next phase of its life. 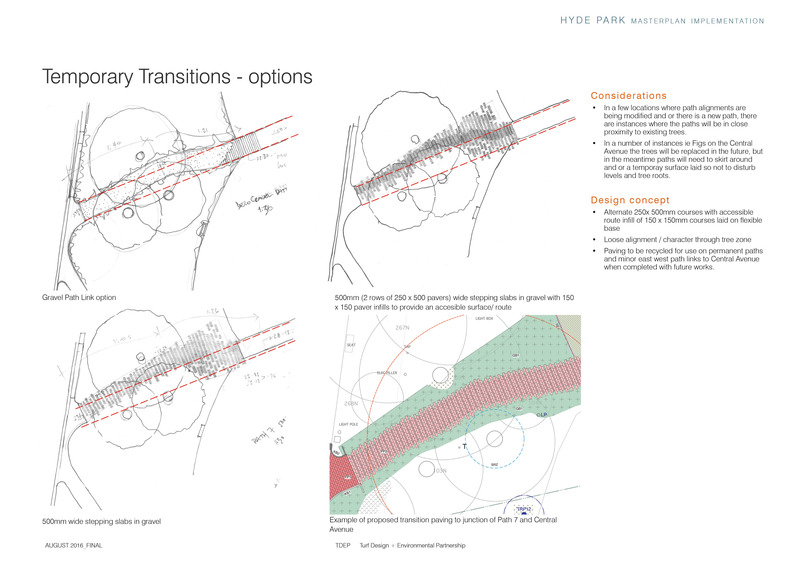 Entry improvements include the provision of a new accessible path entry on the corner of College and Elizabeth Street providing a much needed at grade access point into the park along the College Street frontage. Stage one of a major entry upgrade at the St Marys Cathedral crossing on College Street has been implemented which will be followed by a future walkway and re-aligned signalised crossing. 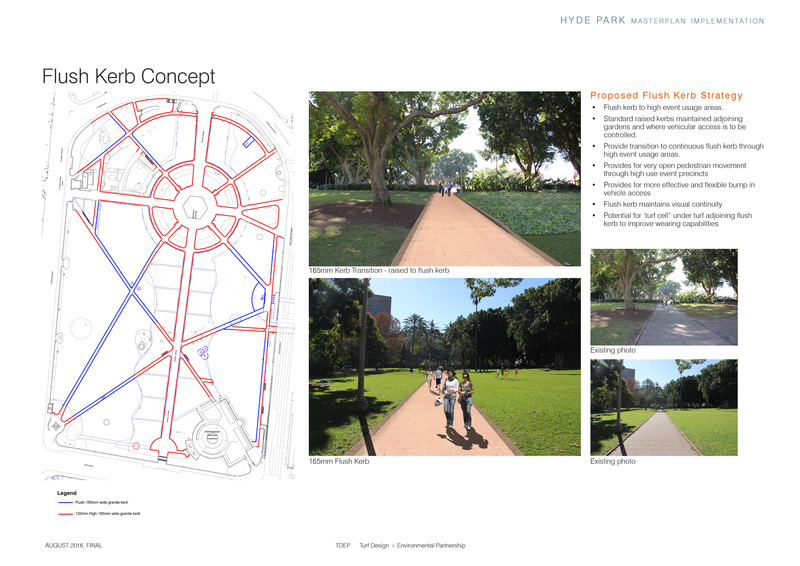 A major initiative has been designing to provide functionality and resilience to the major event use that Hyde Park receives across the year in its role as a major place for Sydney’s celebrations and festivals.